Autumn is one of the best times of year to experience Las Vegas because of the mild temperatures that make it fun to get out and about. With summer temperatures behind us, here are some amazing things to do with kids in fall in Vegas. Springs Preserve’s Annual Haunted Harvest, Oct. 12 – 14, 19 – 21, and 26 – 28 from 5 PM – 9 PM. Visit their website for more information. Springs Preserve spans 180-acres, designed as a cultural institution to commemorate and honor the area’s history as well as uphold a vision for the future. The venue features museums, galleries, outdoor events, botanical gardens, butterfly gardens, and an interpretive trail. Opened to the public in June of 2007, Springs Preserve has become a favorite gathering place for locals to enjoy a wide variety of educational and recreational opportunities. Make the Haunted Harvest at Springs Preserve an annual tradition for your household – an added part of your Halloween season events to remember. 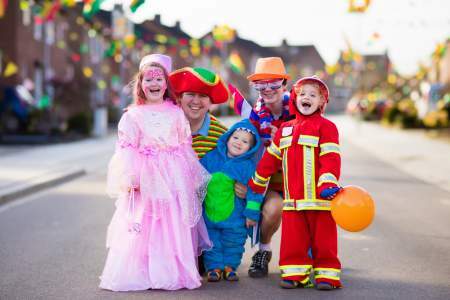 Trick-or-Treat stations and the Boo Town Train are sure to be a hit this year! You’ll also find a petting zoo, hay maze, crafts, live entertainment, food, games, and more! HallOVeen at the Magical Forest of Opportunity Village celebrates its 6th year! They are open October 5 – 7, 12 – 14, and 19 – 31. 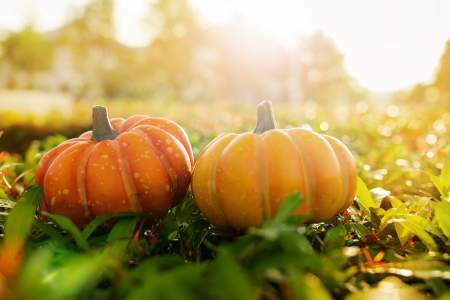 Get ready for the fascinated exclamations you’re sure to hear from everyone in the household when it comes to the enchanting Halloween themed decorations along the winding trails. Ride the Forest Express Ghost Train, Cheyenne’s Enchanted Carousel, and The Blizzard Mini-Coaster. Visit their website for information on tickets. Opportunity Village is the result of the combined efforts of multiple families with children with disabilities. Wanting their children to have equal opportunities to live enriching lives with fulfilling employment in adulthood, the families established Opportunity Village as a resource for specialized work training, placement, and employment opportunities for residents of Southern Nevada who live with special needs. Visit Halloween at the Magical Forest at 6300 West Oakey Boulevard in the 89146 zip code area. Every bit of the proceeds go to help people with disabilities at Opportunity Village. Celebrating the season for 28 years, The Farm puts on an annual Farm Fall Harvest Festival that includes rides, concessions, animals, and a pumpkin patch. 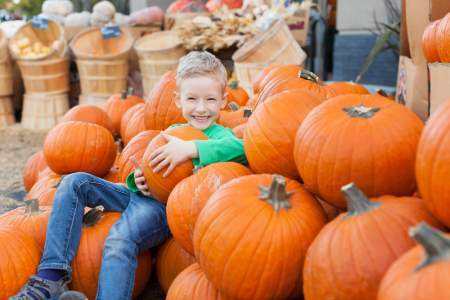 Whether you’re looking for a small pumpkin or an extremely large pumpkin, you’ll find plenty to choose from here. They also have hard to find pumpkin and squash varieties. The Farm is located at 7222 West Grand Teton Drive in the 89131 zip code area. For more information, call 702-982-8000. The festival begins on October 12th and runs through October 28th. There’s no cost to visit the market area, but there is an admission cost for festival entrance and activities. Check their website for more details on specific times that each part of The Farm opens each day during the festival. For more than 20 years, Halloween Town Pumpkin Patch has been providing excellent pumpkin choices to residents and visitors of Las Vegas. They do a step beyond that to celebrate Halloween with games, rides, and other activities. Their main location is Boca Park, but they have since branched out and have several locations. Boca Park is open October 5 – 31. Additional locations open October 12 – 31. Boca Park’s pumpkin patch is located at 510 South Rampart. This address is in the 89145 zip code area. The Rainbow pumpkin patch is located at 7455 S. Rainbow Blvd. in the 89139 zip code area. The Las Vegas Blvd. pumpkin patch is located at 9748 S. Las Vegas Blvd. in the 89183 zip code area. For more information, call 702-664-9231. Visit their websitefor photos, a blog, and more details. Admission and parking are free, but there is a cost for tickets to enjoy the rides, games, and attractions. They do offer an all-day wristband for one price and a family pack. Mckee Ranch is located at 8982 Dean Martin Drive in the 89139 zip code area. For more information, call 702-361-9606. This ranch is open year-round, but it has a special event each autumn. This is a special area that will delight the entire household. There are horses, pigs, sheep, chickens, and more! You can even meet Duncan the Donkey and Oreo the Goat. There are plenty of scenic areas for photo taking. Visit their website for more information. Have a craving for delicious donuts and apple cider to go along with your pumpkin hunting adventure? How about a caramel apple? You can get those things and more at Gilcrease Orchard. This is a genuine pumpkin patch. That’s right. You’ll find a field where the pumpkins were actually grown. The small hay maze and hayride are free and so is the parking. Gilcrease Orchard is located at 7800 N. Tenaya Way in the 89131 zip code area. For more information, call 702-409-0655. The pumpkin patch opens on September 29th and stays open throughout October. They are open on Tuesday, Thursday, Saturday, and Sunday from 7 AM – 2 PM. The website is updated weekly with information about what’s available. Lori Ballen Team hopes you have a Happy Fall that is full of fun adventures. 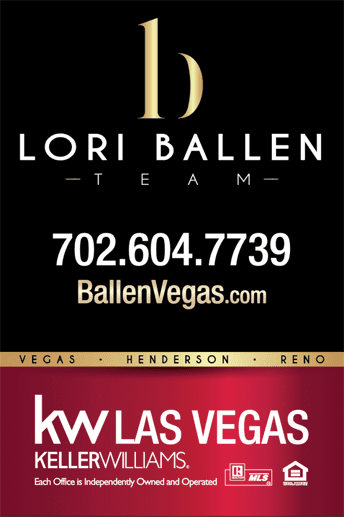 Keep us in mind for all of your real estate needs. Give us a call at 702-604-7739.